There is something deeply alluring about maps. Empowering, they provide a secret view of the world once solely the domain of birds. 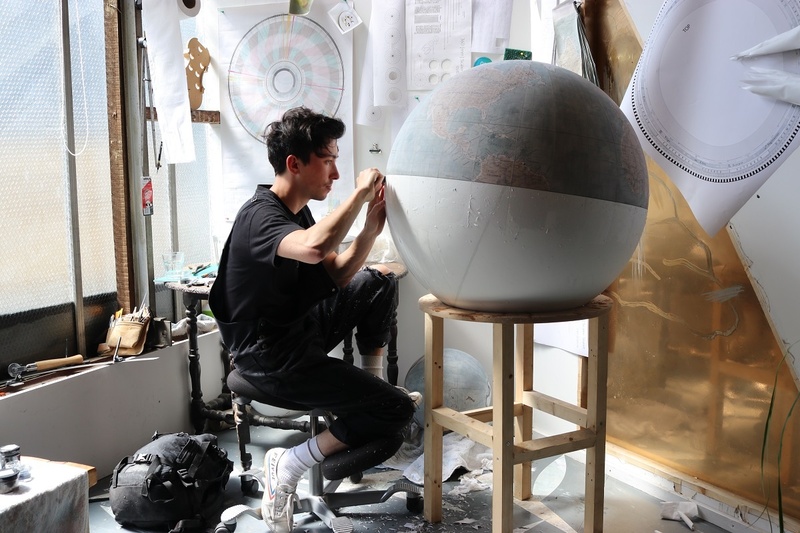 So when last year we got a call from the UK’s (and probably the world's) premiere globe designers Bellerby & Co Globe Makers, we couldn’t resist a visit to their workshop. What we found was a colourful world of exquisite cartography, a team of workers devoted to their art form, and stories of inspiration found in the most unlikely of places. In a new series HÅG – A Life Less Ordinary, we take a journey celebrating the amazing ways people live, work, and express their extraordinary talents. 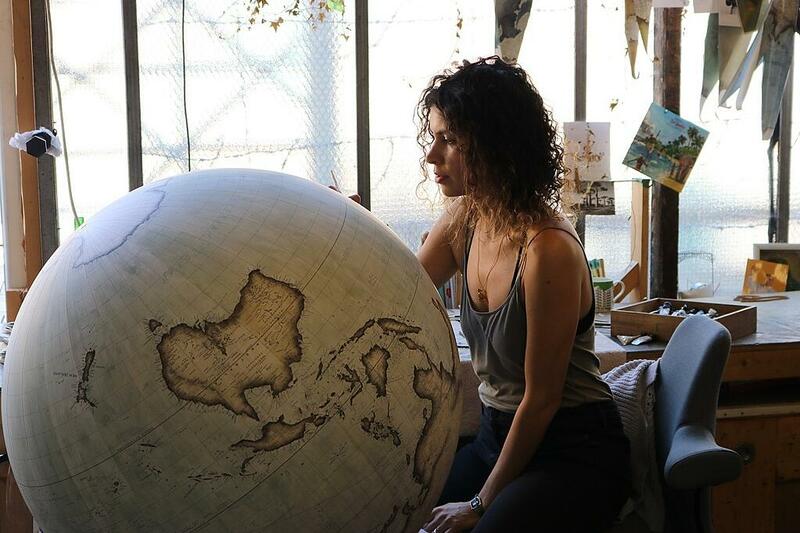 Meet the globemakers. It’s a clear mid-May morning and we are sat in a sunlit workshop, located in the trendy Stoke Newington district of East London. It's a quiet environment, but clearly a busy one, with globes of all shapes and sizes in various stages of development taking up every available space. I'm sat with Peter, and we are discussing the birth of the company, which began with a search for the perfect present. So for two years Peter experimented. With no professional background in art or manufacturing, he got his hands dirty, testing various papers, paints, techniques and methods. “There is literally no information out there to help you… I had to experiment and I didn’t necessarily know what I was doing, which one was helping or which one was hindering. To be honest I had about 4 or 5 moments within that 2 years where something happened by sheer fluke. Without those happening I don’t think I would be here today." 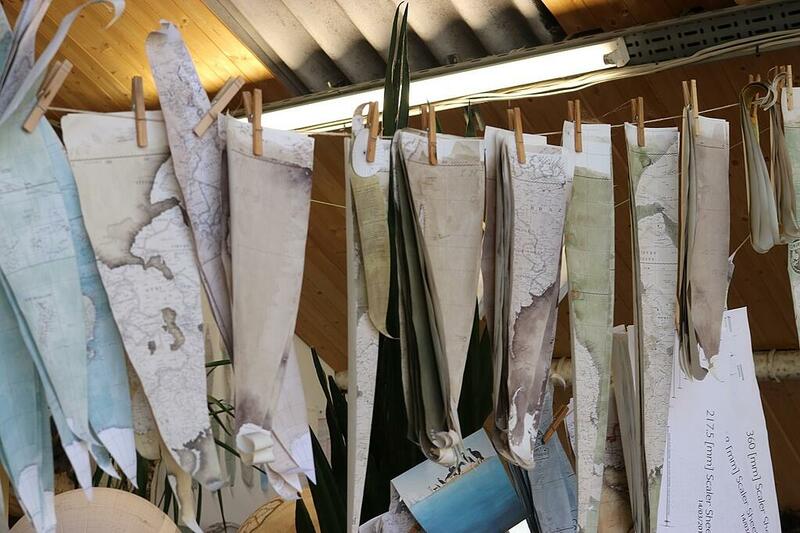 Various map segments awaiting to be applied to their globes. 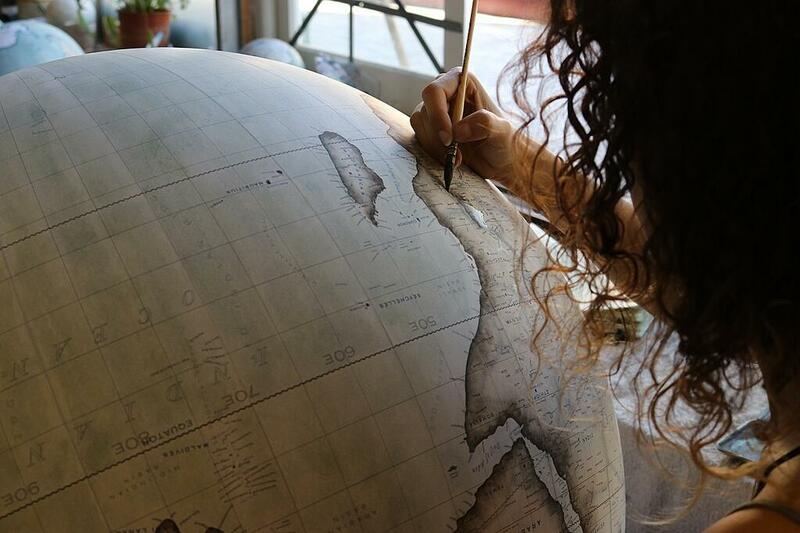 Before being applied to the globes, each map segment needs a base coat of waterpaint. 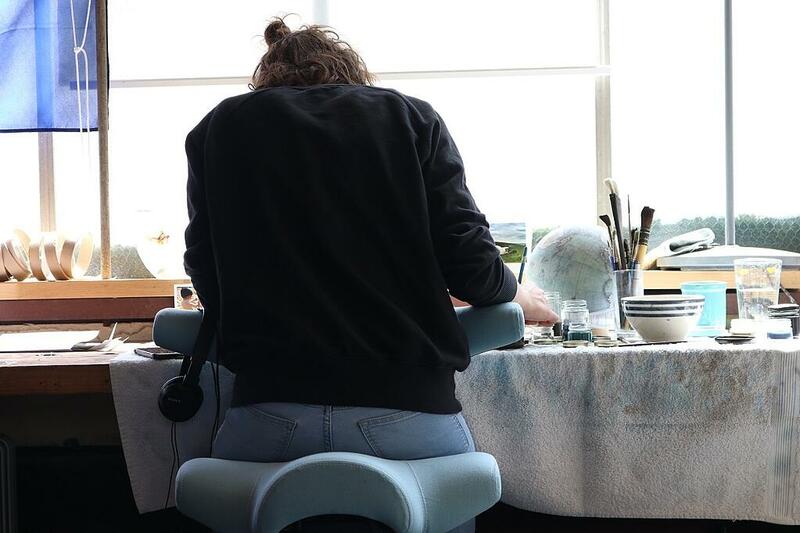 "We then have a team of painters who will highlight the continents and oceans which really brings the globe to life and then for certain things we have outside contractors. 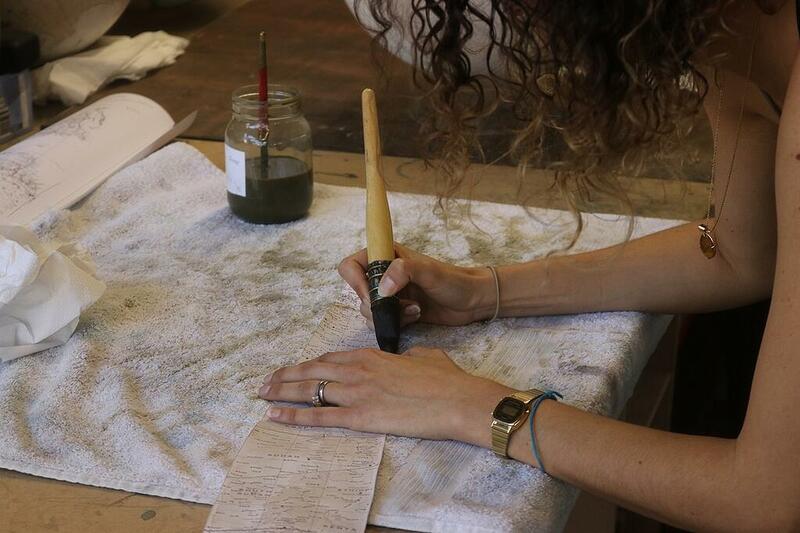 For instance the brass meridians are cast in a foundry and the engraving is done by a specialist engraver." This hard work and patience has certainly paid off and his team’s talents are in high demand, with various television and film productions, as well as more discreet clients, requesting pieces. One of their more high profile projects recently has been a large bespoke globe for Ascot Racecourse, one of the UK’s most prestigious racecourses. 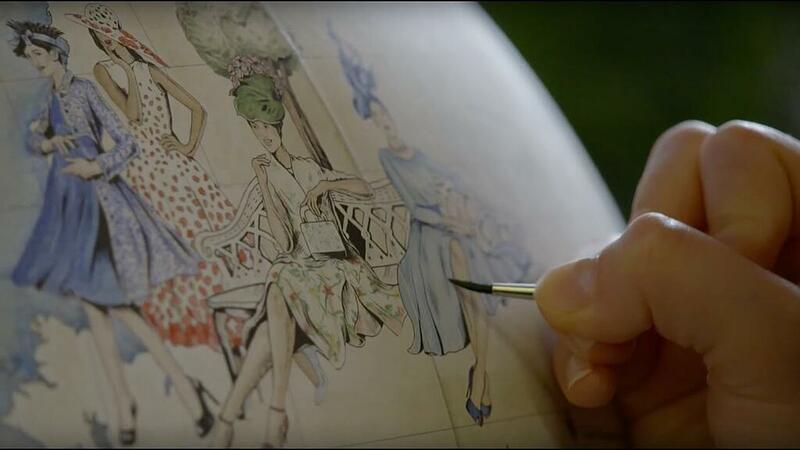 The bespoke Royal Ascot Globe (above and below) included 30 handpainted illustrations, depicting iconic elements of the world of horse racing. 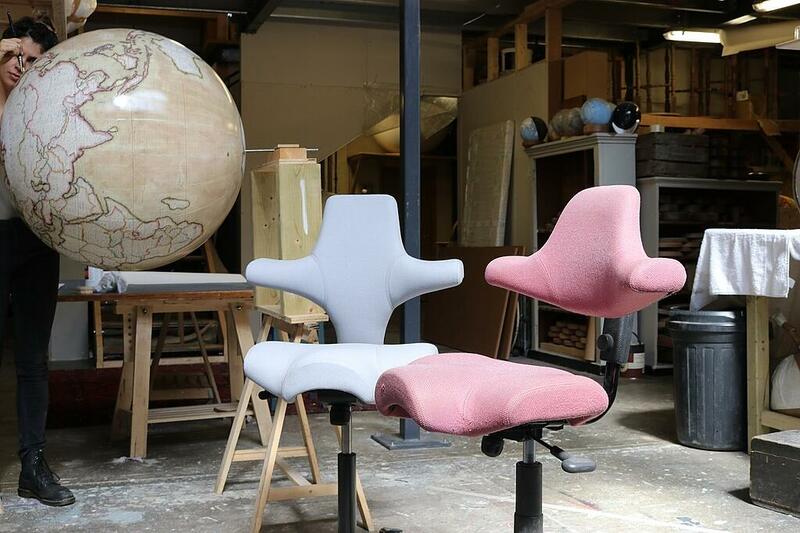 “It turned out to be a revelation,” says Peter, “The Capisco is really comfortable, and so we moved forward from there.” A couple of months down the line and Bellerby & Co’s have fully converted to the HÅG Capisco, with almost every worker using one. 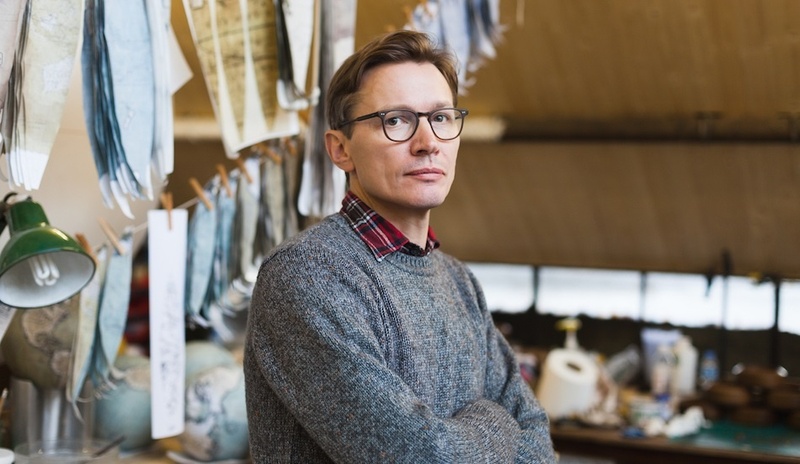 Head of Production Jon Wright uses another creation of Peter Opsviks, the HÅG Balance (no longer in production), when shaping the interior globe. 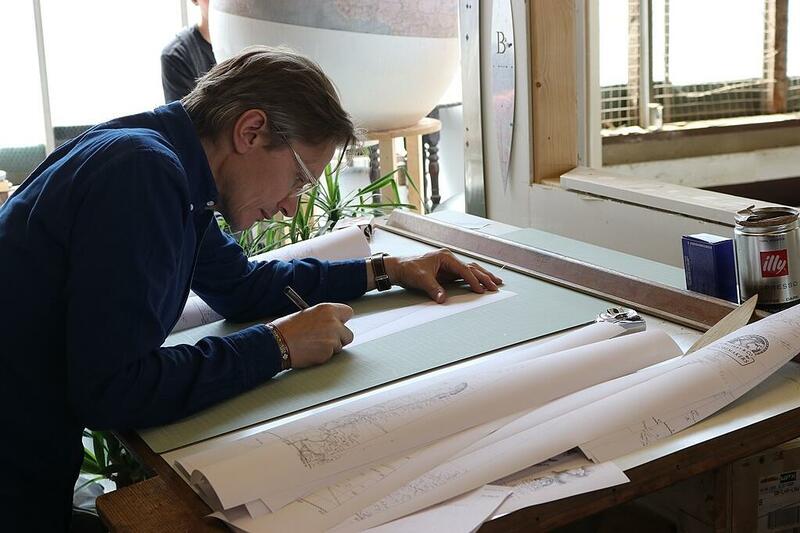 In Peter we see the same passion as the designers and manufacturers at HÅG. Individuals striving for perfection, paying attention to the finer details, and creating extraordinary things, something which Peter makes note of as we finish our conversation.